It was a miserable day for thousands of residents in NYCHA's Castle Hill housing complex in the Bronx, after all 14 buildings were out of heat and hot water on a bitterly cold day. Roseanne Colletti reports. Thousands of residents in NYCHA buildings spent another cold night without heat and hot water in the midst of a deep freeze, however, it appears that the issues are being resolved — albeit slowly. After dealing through heat issues during the coldest day of the season Monday, by Tuesday some residents saw relief. News 4 New York was at a NYCHA building in Harlem and spoke with residents Tuesday morning who said the heat has been coming back on, but slowly in some cases. One man said he tried to keep warm by wrapping himself up in three quilts. 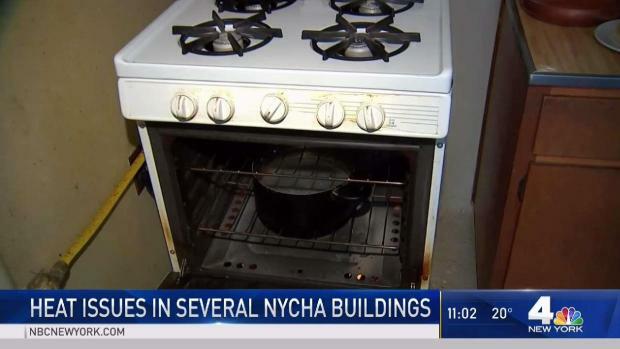 NYCHA said the heat was turned back on around 2 a.m. Tuesday and that they sent inspectors and staff to check later on in the morning to make sure there were no longer any issues. 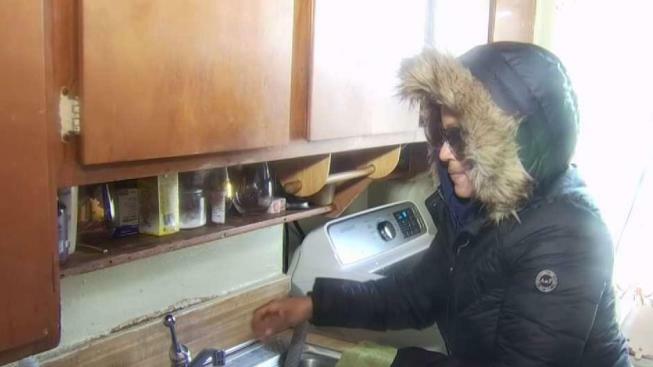 Heat at several NYCHA buildings have been coming back slowly after residents spent another night in cold temperatures after a number of buildings experienced heat issues. Roseanne Colletti reports. Anyone still experiencing a loss of heat or hot water, as well an any other issue, should contact NYCHA. Prior to the shutdown, Patton who was supposed to live in NYCHA housing to ascertain some of the issues residents are dealing with in the city's housing, however, negotiations between the city and the federal government stalled due to the shutdown so the plan has been put on hold. In the past, HUD secretary Ben Carson threatened to take over NYCHA if the problems it faces are not resolved.